Planning a special Sweet 16 is always a stressful experience. Something is bound to go wrong whether you’ve planned it over and over again or gotten every detail nailed down. But don’t fret yet! Here are a few helpful tips to help keep your Sweet 16 planning under control. The venue is where all the magic is going to happen. If you don’t have the room/too much room, the party’s going to look either crowded or empty. You want to find the perfect sized space in order to get the full effect of a rocking party without finding it hard to maneuver around. This will also allow you to fill the space with your many decorative ideas/entertainment. Make sure you get the proper space required for the big idea! There’s going to be a lot of things you’re going to handle in order to make this huge party a success. Entertainment, the cake, the dresses, the decorations, etc. is going to take up a lot of your time. Keep track of all of this information in one place. If you don’t you may be looking around the house for a receipt that needs to be refunded or anything that could go wrong will go wrong. Always being prepared to deal with new situations that are presented to you would be key to the success of your party! This will also include the cake, because we want to make sure everyone can enjoy a piece of that beautiful cake you just bought! The menu is extremely important because that is what is going to keep your guests energized. Go with something that the birthday girl is going to enjoy and keeps your guest’s stomach full. You want to run out of food for the best reasons, not because it’s all in the trash! With these few tips, you’ll be sure to keep everything in check as the Sweet 16 unfolds! We at Business Expo Center take pride into accommodating our guests with the best quality experience, but it’s always good to be prepared for your own plans. It’s time to take initiative into what you want out of your reception! Here are a few questions that can help you find the perfect place for your event. Is your date available? It’s difficult to want to have your event at the place your visiting if your specified date isn’t even available. It also wouldn’t hurt to ask about what else is planned that day to see if you can work around it. If the time isn’t perfect, maybe it’s time to negotiate. Ask about what sized rooms are available, because if your party is too big/too small for a particular room, it’s best to try and accommodate the biggest your party will be. You never want to overbook or extremely under book, so finding that happy medium would be essential. If you don’t have that, it’s better for everyone to have a place to sit! It’s very important to know, if the place has catering, to figure out what kind of food will be served. You don’t want to serve anyone with an allergy to a particular kind of food. Having your in-laws become sick would be a terrible idea. Don’t get swindled. Make sure you know all the charges upfront so you’re not spending extraneous money that you don’t need to spend! See what this place has to offer about alcohol. Do they have a bar they will set up? Will they be providing services for alcohol? Do you have to hire the bartenders or do they have their own? These are extremely important questions as to what kind of alcohol will be served at your event. These are only some of the few questions that you should ask your reception hall about and I would suggest checking out this link that’ll further explain each question! Are you having a wedding to go to but are not sure about the wedding etiquette? The following are 10 do’s and don’ts for all those wedding guests. (1) Be on time. Leave yourself plenty of time for to get to the venue so that you can arrive at the wedding ceremony on time. (2) Turn off your cell phone. Put your cell phone on vibrate or simply turn off it. Don’t let your personal call interrupt someone’s once-in-a-lifetime moment. (3) Pay attention to the dress code. Wearing black dress at weddings means you disapprove of the marriage. Don’t wearing red, because people may think you try to take attention from the bride. Another color to avoid is white, but ivory is fine. (4) Prepare wedding gift from the gift registry. Do the couple a favor by buying your wedding gift from their registry because they will actually use those items. Prepare it early! (5) Follow the seating plan. You may sit on those reserved seat which are designated for family and special guests. So please follow the seating plan! (1) Don’t complain about the food. Even if you don’t like the food, you can choose to go someplace else to eat. Don’t complain about the food portions given to you. (2) Don’t be disrespectful of the wedding traditions. Although you don’t quite understand the couple’s religious or cultural traditions, just be quite and pay attention their rituals. (3) Don’t leave until the wedding cake is cut. Rushing home because there is a long way to go? It’s an old rule that you’d better not leave until the wedding cake is cut. (4) Don’t bring a guest who is not in the invitation. Leave your boyfriend at home if he is not in the list of the wedding invitation, this also includes your children. (5) Don’t drink too much. Sure, you can enjoy yourself at a wedding.But drinking too much will embarrass yourself! Although the tradition of having a huge cake for a wedding is classic, many couples are choosing to break away from the mold. There are plenty of other great options for desserts that will leave your guests pleasantly surprised. Here are some ideas to make your wedding dessert stand out from the pack. A popular replacement is having a pie table. Essentially, its a big table with an assortment of pies laid all across it. The variety of flavors will leave every guest satisfied, ensuring all of your guests leave happy. Donuts are one of the trendiest treats nowadays. Having a table filled with a variety of donuts is not only unique, but it presents a wide array of options for your guests to choose from. Chocolate, glazed, powdered, jelly-filled, etc. The options are endless! Cake pops are extremely popular. They are smaller and easier to handle than a full-size cake, however they are just as tasty and good-looking. Cake pops are also significantly easier to serve to guests, leaving not only your friends happy, but you as well. An assortment of ice cream sandwiches just sounds heavenly, doesn’t it? Although these are an excellent treat, make sure that you have some method of keeping them cold. It would be a shame if the dessert everyone was excited for melted before they had a chance to eat it! If nothing else, candy is the ol’ reliable. Everyone loves candy, so having a table covered in it seems to be a safe bet. It has gone over well at many past weddings and yours would be no exception. Wedding trends are constantly evolving. Discovering whats currently hot will make planning your wedding much easier. Knowing these trends will also make it more likely that your guests are impressed with your wedding-planning talents as well. We’ve gathered a list of the season’s best wedding trends to ensure that your wedding is a success. People have grown fond of the romantic nature expressed in previous generations. Maybe it was watching all of those awesome party scenes from “The Great Gatsby,” but it seems like many current weddings have adopted the look and feel of the roaring 1920’s. Elegant dresses, fancy suits, groomed hair, fancy silverware, the list goes on. If this is the style you’re looking for, make sure to hire a photographer who has experience with this kind of event. There are some amazing photographs that can come from a classic-looking wedding, make sure you capture those precious moments. Brighter colors are coming back in style, and it seems the best-looking color for bridesmaids gowns is a light pink shade. The best part about this color is it works with many different color schemes. Furthermore, many women love this color, so it will be easy to convince the bridesmaids that its the color for them. For about the past decade, it has been a more popular choice to hire a DJ instead of a band for a wedding. While hiring a DJ is usually easier and cheaper, having a live band play at your wedding will provide an unforgettable atmosphere. Also, having a live band is a great complement for many wedding themes, such as the vintage style discussed in the first point. It will be a larger investment, but its worth it. Look to hire a band far in advance of your wedding date. If you plan ahead, it will give you a chance to look at any upcoming shows they may have on their website. That way, when you decide on a band you like, you can have the opportunity to watch them play live first before hiring them. In the past, it was very popular to have a wildflower style of bouquet for the bride. The same could be said about floral arrangements throughout the ceremony. Now however, the style is leaning more towards an elegant look. Roses are a great way to achieve this look. Until recently, it was almost sinful to have anything except a plain-white wedding cake. Now though, bold colors and intricate designs are becoming the style. Don’t be afraid to push the limits and make a statement with your cake. Be creative, but make it personal. When it comes to silverware at your reception, gold is making a huge comeback. Don’t be afraid to use a gold color on the silverware you use. It will look great with almost any theme, and the bold colors will impress your guests! Its no secret that weddings are very happy occasions. They are very personal to plan, therefore resulting in an endless amount of themes to choose from. With so many options available, we thought it would be a good idea to narrow down the list and present some of our favorites. Very popular in the summertime, the beach theme offers a refreshing style that people love. This style generally works well with bright colors and tropical food and drinks. Having it actually be at the beach also offers an amazing sunset background for the ceremony and photo opportunities. Seashells are a great suggestion for decorations as well. This theme is a great option that is both affordable and adorable. Plaid designs on the tablecloths and picnic basket centerpieces are all popular picks. If your caterer is flexible, ask them to prepare the guests’ lunches in individual bags or containers. The names of each guest can be written on their package to offer the personal picnic touch. Retro weddings are incredibly fun to plan and will be loved by young and old generations alike. Vintage stores and thrift shops will be great places to start looking for supplies. Be sure to keep the retro aesthetic in all aspects of the wedding, such as the invitations and centerpieces. Look into retro fashion to find the look that suits your style best. Adventurous couples love this theme. The whole idea is to appear well-traveled: maps, globes, travel tickets, and so many other items can be used for decorations. When sending out invitations, include any extra information the guests may need to know (for instance, including the menu is a good idea because an international theme has a vast array of options available). This theme is quite popular with couples who love and value music. Rock n’ roll is a broad genre and it can be adapted to suit the personality of the couple. From glam rock to punk rock and classic rock, there are tons of styles that can be used to make a successful wedding. Darker colors are popular with this theme, groomsmen may also consider wearing converse instead of dress shoes. Cherry blossoms are beautiful and popular, why not build a wedding around this theme? Pink and red will be the prevalent color for decorations, also be sure to include plenty of flowers to strengthen the theme even further. If you are looking to have even more of a Japanese feel to the wedding, consider including paper lanterns and many candles. Having a wedding is one of the most exciting moments in life. However, it also tends to be one of the most expensive as well. Even though its a large investment, throwing a memorable and enjoyable wedding is always worth it. To help make life easier on you, we’ve compiled a list of ways to save money and still throw a fabulous wedding. One of the most expensive aspects of a wedding is food. Providing (at least) one filling meal plus a dessert is no easy task when there is a large party. An effective way of cutting costs is to cut-down the number of guests invited. With less people in attendance, food prices become less of an issue. Whether its preparing snacks, designing invitations, or anything else, using family and friends to help prepare the wedding celebration is an amazing way to save money. Friends and family will usually be willing to lend a helping hand for your special day, there are probably even a few who possess unique skills that can genuinely help you a lot. Be kind when you ask them for help, and remember to return the favor in the future. If possible, find a reception site in which you can bring your own alcohol. Many venues have high markups on their liquor prices, so bringing your own will save a lot of money. Sometimes a corkage fee may still be in place, but that is a small investment that you should be more than willing to pay if it means you can bring your own booze. While it may be tempting, making this assumption can possibly be a big mistake. Having a buffet means ordering a ton of food. Depending on the size of the party, food offered, and catering company, a buffet can turn into something more expensive than a served plate dinner. The solution here is to get estimates for both a buffet and plated meal to conclude which method is cheaper to do. In today’s world, finding a DJ is incredibly easy. Many of them perform at weddings and have plenty of experience doing so. Shop around for a DJ that will satisfy your needs. A huge advantage with a DJ is that they will be able to play anything you want them to, as opposed to a band which is only capable of knowing how to play so many songs. A band has other limitations as well, such as the number of instruments available to them. If possible, try seeing them live before you decide on them. Seeing a live show will give you a genuine idea of what to expect with that particular DJ. Another perk is that a DJ is only one mouth to feed whereas a band is many more. Instead of ordering expensive flowers for every table, be original with your centerpiece ideas. There are many great alternatives to flowers that will be just as wonderful and save you tons of money. Consider asking a friend or relative for advice as well if you cannot think of a centerpiece you’d be happy with. Thinking about doing something this holiday season but not sure on what to do yet? Is everyone else you know flying out to New York or Boston or just out of town and leaving you in the dust? No problem! Here is a list of events that are going on in the Orange County arena, and there’s a little something for everyone. From the same creators that brought you the OC Brew HaHa, voted as the best craft beer festival in Orange County, comes OC Brew HoHo, a holiday craft beer festival at the Phoenix Club in Anaheim. Beer aficionados are welcome to come and sample 3 oz. beers for four hours starting at noon on Saturday December 7th. Participants will have unlimited access to samples of beer for 4 hours, and everyone (within legal limit) is welcome. Come join in on the fun and relax with people who love and appreciate beer as much as you do. Spark up a conversation, sip on some beer, and enjoy the beautiful and warm California winter. Looking for some hands on experience with cooking this holiday season? Look no further, at the Montage on select days this December, participants will be able to learn a myriad of holiday recipes featuring entrees as the main attraction. Meats in particular will be honed to an art, and participants will indulge in champagnes, meats, and tips on how to make the perfect entree. Dates include; December 6th-8th, and 13th-15th from 2:00-4:00 p.m. Price is $25 per person, please call 949-715-6420 for reservations. Looking for something a little more family oriented? The Muckenthaler Center in Fullerton is hosting their annual holiday festival on December 22nd at 12:00 p.m. Participants will be able to participate in an arts and crafts fair, home and gallery tours, and various performances. Kids will be able to participate in workshops and even get to see Santa! Admission is free and it’s a great opportunity to enjoy some family time and relax. It’s no surprise that planning an event takes a great deal of time and energy. All of that however, can distract you from your enjoyment of the actual event. After all, the event if yours and you should be able to enjoy it! An event planner, particularly one from a trusted and established business can easily take away all the stresses of planning an event, big or small. To start, hiring an event planner can lower your cost. Believe it or not, an event planner may reduce the overall cost of your event. Event planners have relationships with vendors, which allows them to receive discounts for your event that you would otherwise not receive. They will also have a better knowledge of which vendors suit your needs and your price range. Additionally, hiring an event planner will save you time and energy. It’s understandable that people are busy. Event planners have the time and will spend the energy to make sure that your event is what you imagined. You’ll have no need to worry about the lights, the chairs, the flowers, the food, the drinks, or any meticulous details that you may have forgotten. Instead, rest assured that your event planner has gone over every checklist, attended every meeting, and confirmed every attendee. All of their past experiences allows them to do the job more quickly and efficiently. Another advantage of having event planning experience is to be prepared for the unexpected. When planning an event, it’s important to have the mindset that “if it can go wrong, it will.” Always have contingency plans for an event! After planning and attending all those events, planners have seen and dealt with all types of problems that can arise regarding the event. An event planner will make sure that your event runs smoothly as possible. Having the experience and backup plans ready, they won’t lose their composure if anything goes wrong. And chances are, they will be the person to calm you down if the unexpected does happen. Lastly, what may be the most convincing and important reason won’t be realized until the day of the event. Hiring an event planner allows you to enjoy your event. Instead of worrying about the finer details of the event, and making sure that everything arrived and that everyone is where they’re supposed to be, you will be free to relax and take part in the event. Take the time to eat, have a drink, and chat with a friend! Look around at the beauty of your event and at the end of it don’t forget to thank your event planner. Check out some of BEC’s very own event planners and let them plan your next event! Who says that weddings need to be a headache? Stop. Take a moment and think back to the last time your heart swelled with joy. Think of those moments that warmed your heart and watered your eyes. Recreate that moment in your head when you smiled at even the simplest of things – the look on a groom’s face as he watches the love of his life walk down the aisle, the smile on a child as he runs into the arms of a parent who just returned from active duty, the interlocked hands of two five year-olds who know nothing about the complexities of life, yet understand the value of companionship far more than the rest of us. These are those moments that bring us back to the core of emotion and truth that are muffled in the mundane repetitions of day-to-day life. In case you need a little help, take a look at this moment of hope that serves as a reminder of the little things. The disaster of the tornado that struck Oklahoma this week is another tragedy that has been dealt to us this year. However these difficult times are the same that unite us, not only as a country, but also as people. Our thoughts are with all those affected and our gratitude is with all those helping the cause. We have hope for recovery. In the interview on the video, this woman had survived the wrath of the tornado. But, she survived at the loss of her home and what she thought at the time, her beloved dog as well. Giving her interview, she had no idea that her dog was merely a few feet away from her the whole time and still in the ruble of her house that trapped her not so long ago. Seeing the raw happiness that exudes from this woman shows hope that even in such a tragedy, the attainment of happiness is not too far away. This video shows one of those moments, those little moments that bring us joy and warms our hearts. In this age of social media, these moments are passed all over the world in seconds. With a quick Google search, one can find stories of a wide variety of heartwarming acts. One of my favorites includes the story of “suspended coffee.” Earlier this year, the story came alive on the Internet of people buying suspended coffees. Instead of drinking them, those who buy suspended coffees just pay and leave. Then, particularly in the harsh winters that often overcome New England, if there is a patron who isn’t able to afford a hot drink, they are welcome to a pre-purchased cup of “suspended coffee.” But there’s no need to look even as far as that. Open your eyes and take a good look, soon those moments will be all around. Perhaps what makes these moments special is all a matter of perspective. These moments take us out of the daily grind of life, whether a student, CEO, or office worker among other occupations. When life becomes a set of repeated actions that loses meaning, those little moments bring us back. They remind us why we’re studying, why we go to work, and why we wake up the next day to do the same thing over again day after day. The husband smiling as he looks back at why he got married, the parent who strives to return safely to see the smile of his little boy or girl, and the friendship of five year-olds to remind us of how simple things really are. And everyday those things are happening, concurrently if not, repeatedly all over the world to be seen by the eyes of millions. These little moments continue to bring us joy and hope for the future. So the next time you’re frustrated with life, stop. Close your eyes and think of those little moments. After numerous months of planning your event, you definitely would want to have some photos or videos to help you remember that special night. Having photos of your event can be a good reminder of how successful your event was and remind yourself that hard work and planning pays off. Having a professional photographer at your event is a must! They can capture professional pictures that can be used to promote future events, and showcase some examples of your event planning capabilities to future clients. Capturing your event through professional photography can provide a nice visual documentation of your event without having your future clients rely too much on imagination. Having photos documented has unlimited positives, they can also be used later to present certain events on websites, flyers or even on your own personal portfolio. The benefits of hiring these professionals for your events and occasions are that they have the ability to create stunning images just from everyday scenes. They are experts at capturing and anticipating moments, while making the photo look their best. They understand how to use lighting and angles in order to capture their photos and most likely avoid amateur mistakes such as blurriness, excessive lightings etc. When it comes to the quality of their photos, it starts with having the right equipment such as professional lenses, camera, tripods, and flash meters. As a result, these professionals create a vast variety of elements in their photos that incorporates their client’s brand and expectations. They create the cleanest, clearest and captivating pictures in which the quality of these photos can be used for multiple purposes. And the best part about hiring professional photographers are that they come prepared, and have all the necessary backup equipment if a problem should one arise. This can ensure clients that there will be no interruptions of the event or memories being created! And last, but not least, the reason you should consider hiring a professional photographer is because it saves time and money. It is a win-win situation because of the quality that the photographer can provide, because he or she loves what they do. Considering the quality of these images, the services rendered wouldn’t cost that much and is still be within your budget. Having professional photos of better quality can provide greater appeal to personal satisfaction and would make it easier to promote your events in any market. With society resting heavily on high visual aesthetics when it comes to social media, such as Facebook, Twitter and Pinterest, there is no doubt to invest in higher quality photos from professional photographers! The moment you’ve been waiting for has happened, the engagement! You are beyond excited to start a journey with the love of your life beside you. Once you have given the engagement time to sink in, announced the news to relatives and friends, it is time to start planning for the big day! If you intend to save money, the earlier you start the better! 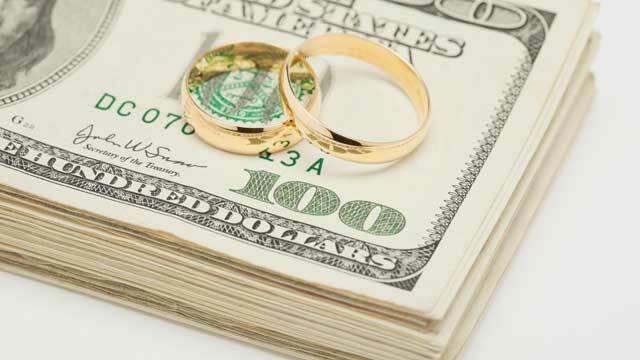 Budget- Before anything, decide on a budget and how you will be paying for the big day. Will the two of you pay for everything or are the parents helping out? Decide which things are most important whether it be finding the perfect dress, venue, or photographer. Event Planner- If feasible, every bride should have a wedding planner helping her throughout the process. Weddings can be extremely stressful so having someone experienced there can make a huge difference. Venue- Popular wedding venues can be booked a year in advance so it is important to make the location one of your top priorities. Each venue has a different capacity, and some may offer additional services such as catering, etc. Budget-friendly- Many less popular places may be worthwhile and save you a lot of money. Think creatively about where you would like your wedding. Some places such as restaurants and parks may be less expensive. Also, Saturdays are always the most popular wedding days therefore any other day may be cheaper to book. Having the reception at the same location can also cut some costs. Guest list- After figuring out the venue capacity, it is time to start selecting who to invite. Remember: The more people you invite, the more table settings, invitations, food, drinks, favors, etc you must purchase. Budget-friendly- Be smart when selecting your wedding guests, consider keeping it smaller with only your close friends and family to save money. The Dress- One of the reasons people turn into “Bridezillas” is the frustration of finding the perfect gown. The earlier you start shopping, the less stress you will endure. Budget-friendly- Consider buying a sample sale or used dresses which can be just as amazing as a custom made one. DJ- There are so many individuals who are talented at Djing. Be sure to explore your options, you do not have to pick the best in town. There are many Dj’s who will cater to your needs and style. Décor- From the table settings to the wedding favors, decorations are a key part of any wedding and can get pricey. Budget-friendly- If you are creative and know exactly what you want then do-it-yourself projects may save you more money. Do not overwhelm yourself but if you have the time and eye for décor, you can give your wedding a personal touch with a few hand-made decorations. Caterer, Florist, Cake, etc. – These are all necessities that take an additional amount out of your budget. Do not forget to set aside budgets for each of them. Overall, there is a never-ending list of what to include on your big day. Each wedding is unique and you have full control of its agenda. Just remember, there are always a few worthwhile shortcuts to save you money here and there. Whether it is you who is seeking a venue for a professional business event or entertainment purposes here is a reference guide to ease some of the load off your chest. Planning a special event could be stressful and hectic at times to say the least, especially when you don’t know how to start. Rest assured we are here to help with the step by step of how to pick the perfect event space. The most crucial aspects are location, venue and services. So make sure you keep an eye out for these features on your visit of the site. Proximity to public transportation, major airport? Does the event location offer convenient access to hotels, local attractions and entertainment possibilities? Is the location easily reached for attendees? Is the building visible to the public or isolated? Are there banners, freeway sign or commercial sign to promote your event? Are the space and rooms at the event center flexible for hosting business meetings, social events, workshops, expos or tradeshows? Does the event facility meet your group’s capacity? Is it more for small or large groups? Is there a staging area for caterers? Is the facility fully air-conditioned? How many bathrooms are there at the event facility? Is there a large enough onsite parking lot to accommodate your guests? Is there audio/visual equipment available? Does the standard of the building condition reflect the professional image of your company or the dynamics of your entertainment event? Check the grounds, interior/exterior paint job and facility’s décor. Are there any available furniture, podium, whiteboards, projectors, TVs? Are there flexible layouts seating options? Ex: Theatre, exhibit, seminar, banquet, presentation room. Are there any visual obstructions within the rental space ex: column, pillar? Is there anything that you particularly like about the venue? Is there any catering restrictions? Are there different catering options available regarding outside catering company? Does the venue offer Wi-Fi internet access? Are there any event marketing services to create a buzz for your event? Does the venue produce a hybrid-event; a mix of face to face physical event with a virtual interactive components? Is there video hosting offered? Is there a community calendar listing for your event? Is the staff responsive and knowledgeable? The list below provides a general idea of where to start, what to look for while at the same time bringing you closer to reaching your vision of the perfect setting for that all important event. Macaroons are an exquisite French dessert with a sweet meringue base. The shell is made from egg whites, icing sugar, ground almonds, and food coloring and the inside filling is made from ganache, buttercream and/or jam filling. Not only is this French delight delicious, it is an appealing, colorful addition to your party that is easy to eat and full of flavor. Macaroons have a thin, delicate shell with a delicious filling of your choice. Common macaroon flavors include: raspberry, dulce de leche, apricot-pineapple, coffee, honey lavender, pistachio, matcha green tea, cassisviolette, and much more. Who doesn’t like cupcakes? Not only are they easy to eat, they can fit any theme. You have a variety of creative ideas to choose from. Cupcakes can vary from elegant and simple to wild and vibrant. They are one of the more versatile of desserts you can have at your event. Not only can you use your creativity with cupcake designs, but with flavors as well. Never feel restricted to a recipe, feel free to mix things up and experiment with different icing flavors, fillings, bases, and toppings. For example, toppings are an easy way to add character to your cupcakes. Explore different options. For example, chocolate can be a fun addition to your dessert. A good tip would be to melt chocolate, create designs on a cookie sheet, and put them in your freezer. Once they’re frozen, you can place them on your cupcake for a nice chocolate addition! Parfaits are one o f the easiest desserts to prepare. It consists of layers of ice cream and/or yogurt with fruits and other complementary foods. (ex: granola or pound cake). Parfaits are a classy, and potentially healthy dessert for your event. For those that enjoy light, fresh desserts parfaits are perfect. Examples of different types of parfaits include: Tiramisu Parfaits with Toasted Almonds, Peach and Blueberry Parfaits, Orange Berry Cream Parfait, Chocolate Oatmeal Parfaits, and more! Fruit tarts are usually made with a sweet pastry base, a light cream/custard, and glazed fruit toppings. Some fruits can be baked with the tart such as apples andpears, while others, such as strawberries and blueberries, are added in later for a more arranged look. Tarts are a tasty alternative for those that don’t have such a huge sweet-tooth. In order to create different fruit tarts, experiment with the different ingredients available. For example, when creating your very own fruit tart, you can choose from different tart bases that have certain textures, flavors, and levels of sweetness. You can also choose the custard/cream type as well. Some popular ones include: lemon, vanilla, cream cheese, and butter cream. Small changes in fruits and glaze can go a long way for the overall flavor of your dessert as well. These are but a few desserts you can have at your event. When deciding what desserts to provide, consider factors such as quantity, price, aesthetics, and guest friendliness. Have fun with it! Desserts are always a fun and exciting way to put your creative side to use.